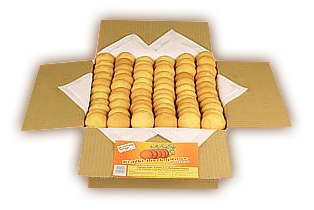 Sponge cookies are produced according to a 100 year-old plus recipe, in a traditional, hand-made way. 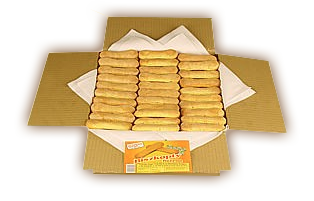 They are easily digested, a fact demonstrated during an artificial digestion test during which 99.66% of the sponge cakes was digested. 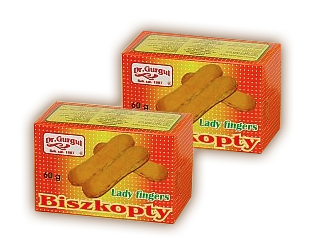 Nutritional information per 100 g of product: energy 1696 kJ/405 kcal, protein 10.1 g, carbohydrate 74.5 g, fat 7.4 g.
The sponge cookies contain: wheat flour, fresh eggs, sugar and honey. 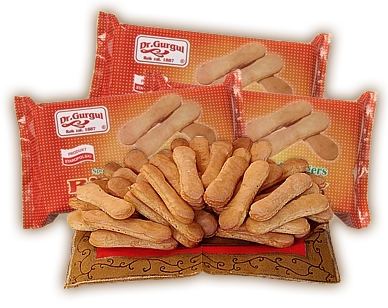 Our products are delicious thanks to the ingredients and technology used. 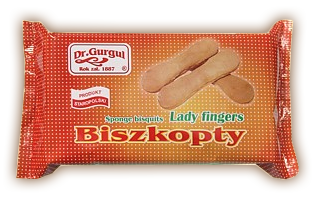 Sponge cookies are recommended to all consumers, especially infants, children and elderly people. 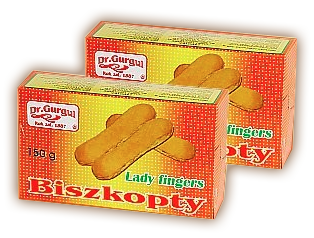 They have a shelf life of 6 months.Every mother caring for her children’s health will use only GURGUL’S sponge cookies.